Raisin is very beneficial for health. Junk food creates weakness in the body. Many parents do not give junk food to their children. Also, many children do not eat junk food. Nowadays, we cannot get fresh apple, bitter gourd, gourd and other vegetables and fruits. Most of the fruits and vegetables would be ripe through chemical. Usually, 68% milk is duplicate and mixture. Many times, children cannot get effect of good food. Soak 10 raisins in water for overnight. The raisin should be wet for 6 hours. Drink raisin water in the morning with empty stomach. This gives wonderful energy to the body. It also increases concentration and mind gets balance. One gets bravery and fearlessness. The use of raisin avoids the stomach problems. Raisin also avoids stomach problem, acidity or digestive problems. One should drink raisin water in the morning. Eat 10 soak raisins with 5 almonds and 1 walnut after taking bath in the morning. Soak almond and walnut in water. Mind works very well. Those who suffer with cholesterol they should use raisin. This strengthens the heart. Drink lukewarm water if it is too cold. 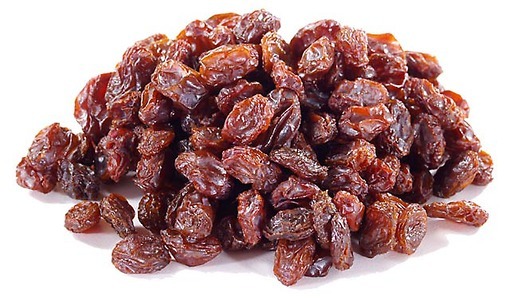 Raisin is beneficial for constipation and stomach problem. Anger increases when gas occurs in the body. Raisin gives metal peace. Regular use of raisin water avoids mind, heart and blood related problems. This also improves skin. Skin becomes soft and attractive. One should use raisin water in morning with empty stomach. Raisin should be avoided for the diabetes patient. They should use medical advice before having it. Do not use raisin if sodium level is high in the body. If the fat is high then do not use raw raisin. Use only soaked raisin. Do not use raisin with honey if they are powerful and suffer with obesity.